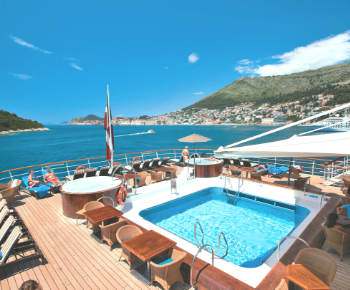 Join the Purdue President’s Council for a ten-night cruise aboard Windstar Cruises’ 310-guest sailing yacht the Wind Surf, plus one night at the Athens Intercontinental Hotel. 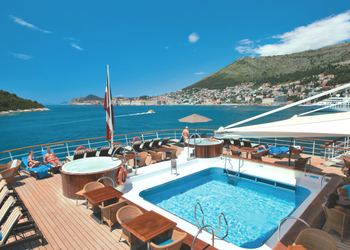 Our ship sails through the azure waters of the Aegean Sea to explore the ancient wonders and myths of the Greek Isles. Feast your eyes on Santorini’s raven-black cliffs draped in Cyclades-blue and white homes. Inhale the scent of heather and pines on the sacred island of Patmos, where the Book of Revelation was penned. Walk on cobblestones worn smooth by peasants and knights in the living medieval cities of Rhodes and Monemvasia. Suites and cabins are booking quickly for this exciting adventure, so we highly encourage you to book as soon as possible. Save $250 per person for all 2019 President’s Council Panama Canal cruise attendees! Your travel-package registration fee includes support for ongoing adventures, events, and lifelong educational opportunities with the President’s Council family. As a part of your overall price, a $250-per-person, tax-deductible donation to the President’s Council Enrichment Fund helps underwrite the involvement of Purdue educators and administrators to enhance your personal travel experiences—a benefit exclusive to Purdue President’s Council members. We are excited to announce that Purdue Classics Professor Keith Dickson will be onboard our Greek Isles cruise to share his knowledge of Greek mythology and ancient culture. 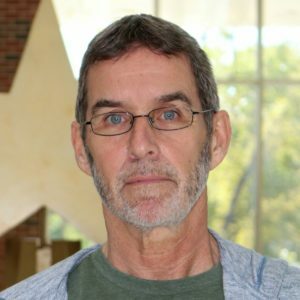 Professor Dickson has served on the faculty of the Classical Studies program at Purdue since 1989, where he has taught a wide range of classes in Ancient Greek and Latin language, along with courses on the literature, mythology, science, and religion of the ancient West. His teaching has been recognized through numerous awards, including Purdue’s Charles B. Murphy Award for Outstanding Undergraduate Instruction. He established the first Western Cultural Studies program in the People’s Republic of China, and holds a joint appointment at Beijing Capital Normal University. Professor Dickson has authored three books and more than one dozen articles and chapters on comparative mythology, ancient Greek and Near Eastern literature, and ancient western medicine. He has delivered over 80 lectures at local, regional, national, and international venues. Upon arriving in Athens at the Eleftherios Venizelos International Airport (ATH), you will be met by a local representative and transferred directly to the hotel. It is approximately a 45-minute drive depending on traffic. Repeatedly awarded Greece’s Leading Hotel, the Athens Intercontinental combines contemporary design with unparalleled levels of service. Within a short distance from the city center, it offers sweeping views of the Acropolis & Lycabettus Mount. Enjoy your upgraded Club Intercontinental Room on the hotel’s higher floors with exclusive access to the club lounge to enjoy light refreshments throughout the day and an evening reception with drinks and canapés. The balance of the afternoon and evening are at your leisure. Perhaps enjoy dinner in the Plaka, Athens’s oldest and most picturesque neighborhood that is a maze of cobblestone pedestrian streets lined with shops, boutiques, souvenir stands, and restaurants. Early morning coffee, tea, and continental breakfast will be available in the club lounge. A complimentary full breakfast buffet will be served in Café Zoe, the hotel’s contemporary restaurant featuring award winning interior design by highly acclaimed designer Tony Chi. Café Zoe is located on the lobby level. After breakfast, check out of the hotel as we depart on tour and then go direct to the ship for embarkation. 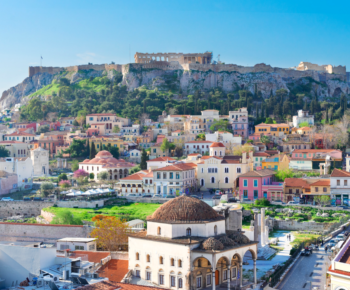 Depart the hotel on a narrated orientation drive passing the highlights of Athens for photo opportunities before arriving at the Acropolis, a symbol of the glory of ancient Greece. Climb the smooth marble steps ascending to the top of the Acropolis. Reach the Propylaea, one of the masterpieces of classical architecture which serves as the entrance to the complex of buildings. Stand in amazement at the highest point–the Parthenon, designed as a shrine to Athena and at one time housing a massive gold and ivory statue of the warrior goddess. 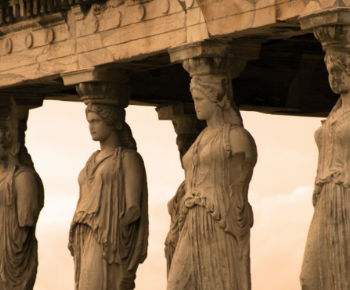 See the Temple of Athena Nike (Wingless Victory), and the Erectheum, with its classical Porch of Maidens, the Caryatids. Continue with a brief guided tour of the New Acropolis Museum. The museum was built to house all the artifacts found on the site, from the Greek Bronze Age to Roman and Byzantine Greece. Nearly 4,000 objects are exhibited over an area of 150,000 square feet. Important Notes: This tour involves extensive climbing of the smooth, possibly slippery, marble steps of the Acropolis and moderate to extensive walking at the site, so it is recommended for guests who are physically fit. It is suggested to wear lightweight, casual clothing, a hat, sunglasses, sunscreen, and flat, comfortable shoes. This is the ideal option for guests who wish to view the Acropolis but do not want to negotiate the steps. 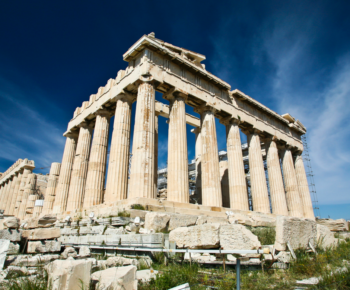 Depart the hotel via motorcoach on an extended panoramic tour through Athens with photo stops. Sites include Hadrian’s Arch, Temple of Zeus, Royal Palace, Constitution Square, Monument of the Unknown Soldier, and Old Marble Olympic Stadium. Arrive at Acropolis Hill with a spectacular view of the Parthenon and the monuments of the Acropolis. Continue with a leisurely paced guided tour of the New Acropolis Museum. The museum was built to house every artifact found on the site, from the Greek Bronze Age to Roman and Byzantine Greece. Nearly 4,000 objects are exhibited over an area of more than 150,000 square feet. Enjoy an included Greek pastry and coffee in the museum restaurant followed by free time to further explore the exhibits and displays. Important Notes: This tour involves walking on level surfaces at your own pace and very few stairs. It is suggested to wear lightweight, casual clothing and flat, comfortable shoes. After the museum, meet as a group, with the opportunity to then independently explore the old part of the city called the Plaka. Walk its predominately pedestrian streets with picturesque houses, shops, and numerous cafes. 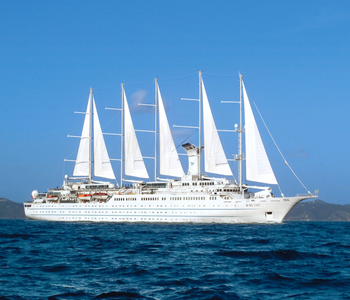 Transfer to the pier to board the Windstar Cruises’ Wind Surf. 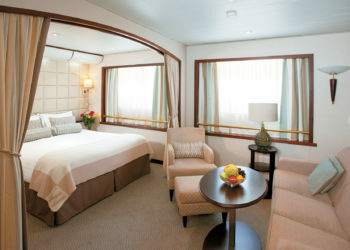 Enjoy lunch onboard and then time to relax, unpack, and get settled into our cabins. Join fellow travelers this evening for a President’s Council Welcome Reception followed by a Welcome Aboard & Port Talk by our ship Destination Manager who will provide us with important information for the cruise. Dinner to follow with open seating in the AmphorA restaurant. 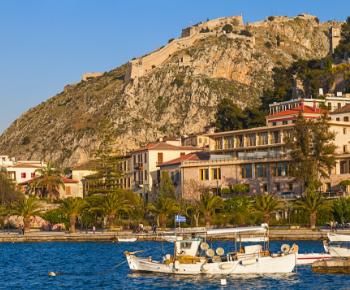 Nafplio impresses visitors with grand, medieval architecture erected by Venetians during the 15th century. The most dominant structure is Palamidi Fortress towering 999 steps high above town. The port is lively with a scenic harbor, narrow cobblestone alleys, and neoclassical mansions with bougainvillea vines adorning the balconies. Journey east to see Ancient Epidaurus, one of the most known archaeological sites of Greece, which is considered to be the birthplace of medicine. Visit the UNESCO site of Mycenae featuring ancient ruins including the famous Lion’s Gate. 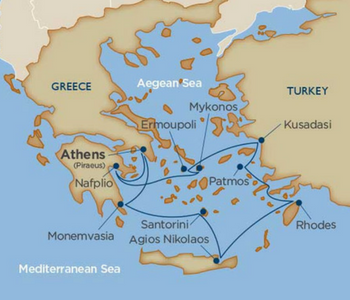 Choice of optional Windstar shore excursions are available. Enjoy a late afternoon lecture by Professor Keith Dickson, as well as an update on Purdue from Trustee Gary Lehman. En route, we’ll look at the myths that surround perhaps the most iconic of Greek gods — Apollo — from his strange birth on Delos to his installation as the Lord of Prophecy in his temple at Delphi. At one and the same time the god who presides over the orderliness that structures civilization though law, athletic training, music, and mathematics, Apollo also reveals a dark side — a darkness that reflects ancient Greek culture itself. Wake this morning to the postcard-like scene of Mykonos! This classic Greek isle is dotted with hundreds of whitewashed churches and buildings and thatch-roofed windmills, in a harbor bobbing with fishing boats and luxurious private yachts. Enjoy a leisurely stroll around the narrow streets of Mykonos with its charming cafes and endless shops. Mykonos’s museums include an Archaeological Museum, which houses relics from the Trojan War, a Folk-Art Museum and a Maritime Museum. 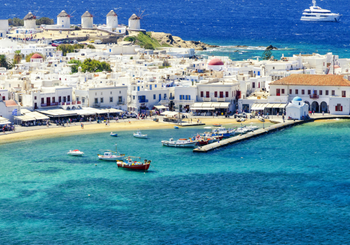 Or choose to spend the day on one of Mykonos’ beaches. 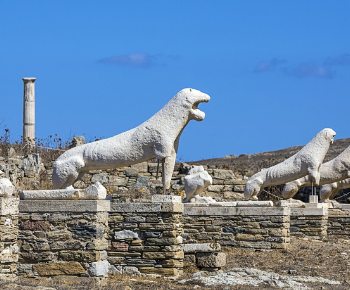 Depart the pier on a 45-minute scenic ferry ride to the tiny island of Delos, a UNESCO World Heritage site and one of the most important, well-preserved archaeological sites in Greece. The island is the spiritual and geographic center of the Cyclades island chain, and the birthplace of Apollo and Artemis, the offspring of Zeus. Enjoy a guided tour of the well-preserved neighborhoods, ancient marketplaces, the Temple of Apollo, and the Famous Terrace of Marble Lions. Visit the Hellenistic Quarter to view the ancient House of Dionysus and House of Kleopatra villas. Discover the water cisterns, wells, beautiful frescos, and mosaics in some of the wealthy homes. At the conclusion of this fascinating outing, return to Mykonos Town, where you may enjoy independent time or return to the ship. Important Notes: This tour involves approx. two hours of standing and walking over hilly terrain, so it is not recommended for guests with walking difficulties. It is suggested to wear lightweight, casual clothing, a hat, sunglasses, sunscreen, and flat, comfortable shoes. The transfer by ferry is locally operated and will not be exclusive to President’s Council guests. The operation of this tour is dependent on prevailing weather conditions. Ermoupoli, the capital of Syros, is divided in to three parts – the waterfront and two hills each crowned with a church, the Roman Catholic and the Orthodox. 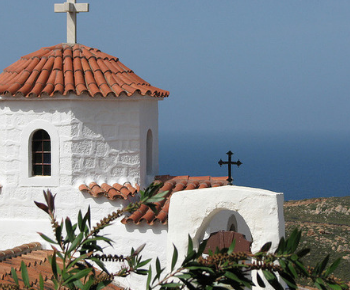 The Orthodox part is topped with the beautiful Anastasi church and wonderful views over Tinos and Mykonos. The Catholic part with the medieval Venetian town and the maze of narrow lanes and archways is dominated by the Cathedral of St. George. Ermoupolis’ central square, Plateia Mialoulis, with the town hall is impressive. Not much has changed here since medieval times and the narrow cobblestone streets full of stairways and arches create a delightful maze. As we make our way east to Turkey, we near the coast on which the Greeks situated their central myth, the myth to which most other myths are linked like threads on a loom: the myth of the Trojan War. We’ll explore how the Greeks constructed their heroic ideals, and how they defined themselves by contrast with how they defined their enemy. The major attraction is the archaeological site of ancient Ephesus. Along a white marble road grooved by ancient chariot wheels, the two-story Library of Celsus presents a striking sight. There are temples, houses of noblemen, and community buildings lining ancient streets. Nestled in the mountainside is a 25,000-seat amphitheater, still used for performances during Festival of Culture and Art. Bible buffs may know Ephesus as inspiration for St. Paul’s Epistle to Ephesians and the site of one of the first seven churches of Asia Minor. Treasures are kept in the Seljuk Archaeological Museum. Among the better-known ancient sites near Kusadasi are ancient Miletus and Dydima. Remains include a well-preserved Roman theater at Miletus and Dydima’s sacred temple of Apollo. This evening delight in Windstar’s Destination Discovery Event for a once-in-a-lifetime experience! Walk the Marble Road to the Celsus Library that housed more than 12,000 scrolls nearly two millennia ago. The spectacularly illuminated façade of the library allows us to examine the statues in their niches and the elegant details of the frames. 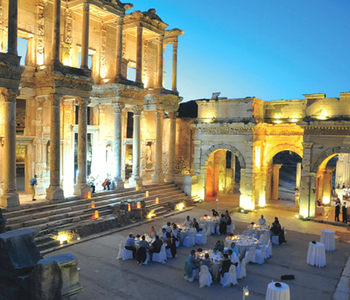 Dinner is served under the stars in the courtyard of the Celsus Library, accompanied by a trio from the Aegean Chamber Orchestra. Please note: A tourist visa to visit Kusadasi, Turkey is NOT required. Day visits are covered by transit visas which are arranged for guests on board by Windstar for a nominal fee and are not affected by current travel restrictions. The striking Dodecanese island of Patmos, with a population of only 3,000 people, is home to mostly shepherds and fishermen. The main port of Skala, is a quaint and tranquil place to stroll, with tavernas that serve superb fresh fish. Chora, the main town, is one mile uphill from Skala. Patmos’ primary attractions are its Cave of the Apocalypse and Monastery of St. John with its spectacular ocean view. Patmos is also an ideal place for nature lovers with its coastline of sheer cliffs and its volcanic soil. Depart Scala harbor and drive to the impressive village of Chora, the capital of the island. On top of the hill lies the Monastery of St. John, a Byzantine building built in 1088 by the Blessed Christodoulos, servant of Christ. Behind it’s imposing thick, high walls, there is a fantastic array of religious treasures, relics of saints, priceless heirlooms, jewelry, and votive offerings. Our guided tour continues to the Cave of the Apocalypse, home to the birth of the Book of Revelation, the last book in the Holy Bible. In 95 AD, at the time of the persecution of the Christians, St. John was exiled to the island of Patmos where the vision of the Revelation was revealed to him in this small cave which has now become a place of worship and an important destination for pilgrims. 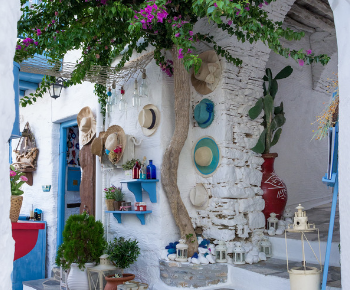 Enjoy free time in the old village of Chora to explore the houses dating from the 16th-19th centuries. Enjoy the breathtaking panoramic view, and of course visit the local shops! This gracious oasis, known as the “Island of Roses,” was home to the legendary Colossus, one of the Seven Wonders of the Ancient World. Today it is a yachting paradise, whose shores are lined with sparkling beaches and lush green mountainsides. 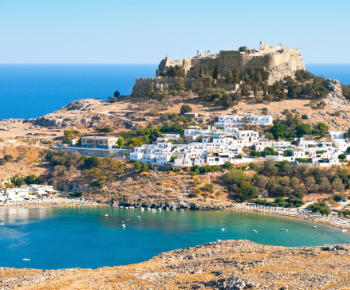 A scenic drive leads you through quaint villages and lemon groves to the ancient Acropolis of Lindos, standing guard over the picturesque town, or to the Old City of Rhodes, a UNESCO World Heritage Site. 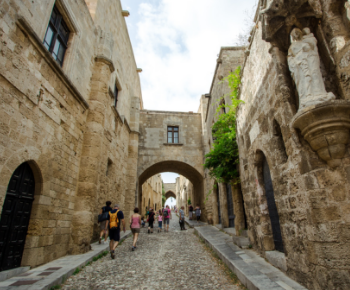 Take a leisurely guided stroll through the medieval city of Rhodes, a historically acclaimed UNESCO World Heritage Site. Experience the main highlights of the Old City: Jewish Quarter, Ippokratous Square, famous Street of the Knights, Grand Master Palace, Archeological Museum and Fortifications of the Palace. There is plenty of time for pictures along the picturesque cobbled stone streets followed by free time to explore the numerous cafés, restaurants, and shops of the medieval town before returning to the ship at your leisure. Even though long colonized by Greeks, Crete in the Greek imagination remained the site of the far more ancient and mysterious Minoan civilization, which had flourished for a millennium before Greeks ever reached the Mediterranean. The myths of Crete focus on a world of bizarre transgressions and transformations, magical technology and awesome violence. 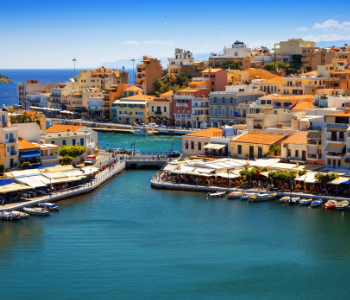 Agios Nikolaos lies picturesquely on Mirabello Bay in the eastern part of Crete. Its charming small town has developed into a popular holiday resort. The area around the harbor and the side streets are lined with souvenir and handicraft shops. Tavernas offer tasty Cretan specialties such as xynomizythra (a tangy soft white cheese) or kalitsounia (small savory herb pies). Area attractions include the island’s capital, Heraklion, and the famous site of Knossos. Many of the artifacts and frescoes unearthed at Knossos are now in Heraklion’s renowned museum. Spinalonga Island, formerly the site of a leper colony, is nearby and popular with sun worshippers who enjoy its picturesque setting. 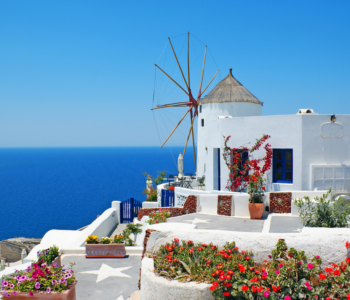 Santorini, the southernmost of the Cyclades, is one of the world’s most dramatically beautiful islands. Its unique topography is the result of a massive volcanic eruption some 3,600 years ago, which blew the middle out of the island to create a caldera, a volcanic crater filled with deep azure sea. As our ship approaches, photograph the red-and-black sheer cliffs that rise directly from the water, their tops dusted by whitewashed cliff-top villages. 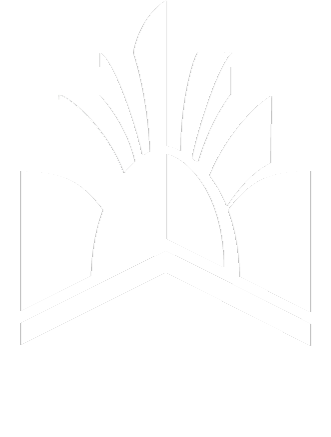 The island has no rivers and suffers severe water shortages, but its fertile volcanic soils and high nighttime humidity, produces flavorsome grapes, cherry tomatoes, white-skinned eggplants and fava beans. Our adventure begins with the cable car ride up to Fira to meet our local guides. Depart by coach to visit the renowned archaeological site of Akrotiri, considered the best-preserved Minoan ruins outside of Crete. Learn about the Bronze Age civilization that thrived here between 3000 and 1500 BC as you explore remnants of an ancient city preserved in ash from the eruption of Mt. Thera. Next stop is Prophet Elias Monastery which offers panoramic, wow-inspiring views as it’s the island’s highest point. Here we get a glimpse of how life as a monk is and explore this exquisite monastery. Enjoy a visit to a local winery to learn about their indigenous grapes and unique vine-growing methods along with wine tastings and local snacks. We continue to Oia, this postcard-perfect village with the whitewashed facades and pastel-hued houses. 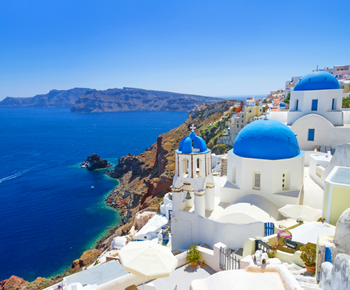 Lose yourself in Oia’s winding streets, duck under bougainvillea archways and bask in the feel of Santorini’s allure. Enjoy free time for lunch on your own or shopping, before we return to Fira. At your leisure, ride the cable car back down to the cruise pier to return to the ship. 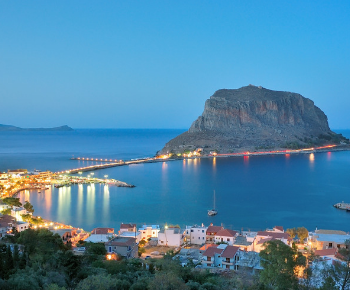 Surrounded by the teal waters of the Aegean Sea, vast, imposing, Monemvasia is an iceberg-like slab of rock, with sheer cliffs rising hundreds of meters from the sea, linked to the mainland by a single, highly defendable causeway. 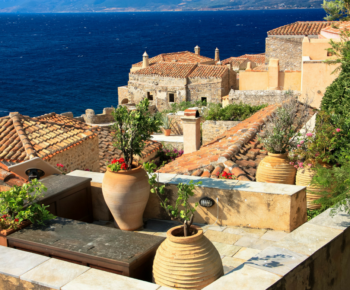 Monemvasia, the only still inhabited archaeological site in Greece, is a traditional medieval town inside a Venetian castle. Castles, walls, old mansions, narrow cobbled lanes, churches, low arches and vaults, coats of arms, imperial marble thrones, and Byzantine icons, all give the impression of a town untouched by time. Join fellow Boilermakers after dinner for coffee and dessert and participate in a Q&A with Trustee Gary Lehman. After breakfast onboard the ship, depart the Wind Surf and transfer to the Eleftherios Venizelos International Airport (ATH) for your return flight home. Standard and Deluxe Cabins | 188 sq. ft.
Rates INCLUDE port taxes of $200 per person. Cancellation Schedule: Cancellation penalties apply once deposit is paid, so please review policy below. 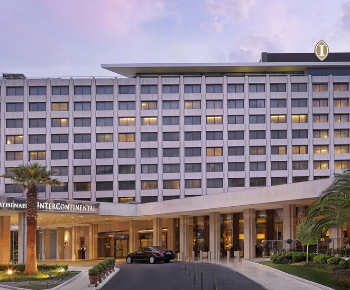 Your all-inclusive President’s Council package features a one-night pre-cruise stay at the Athens Intercontinental Hotel on July 24, allowing for anytime flight arrivals with included airport transfers. If you decide you want even more time to explore Athens on your own or to simply relax and enjoy the amenities of the hotel, take the opportunity to add an extra night! Please enquire for more details! Airfare is not included. Global Tracks will book your air arrangements for a $75 ticketing fee, or you may choose to handle your own reservation. Passports: Passports are required for all guests and must be valid for six months after the end of the cruise. Travel Insurance: Global Tracks offers optional travel insurance. Purchase within 15 days of deposit for additional benefits. Cancellation Penalties: All cancellations must be made in writing to Global Tracks. Travel Insurance and Airfare are non-refundable once ticketed. Any payment to Global Tracks constitutes your acceptance of the Terms and Conditions set herein, including but not limited to the cancellation terms.